It was one of those slightly blah Sundays when even a trip to the Swedish giant IKEA was holding a weird sort of allure. Not that I’m one of those women described by an Italian comedienne as having a frisson of sexual excitement at the thought of a visit. How deeply sad would that be to be erotically stimulated by flat-pack furniture and shelving?! On the other hand it may seem I was going to the other extreme by going to a former San Franciscan monastery for lunch. 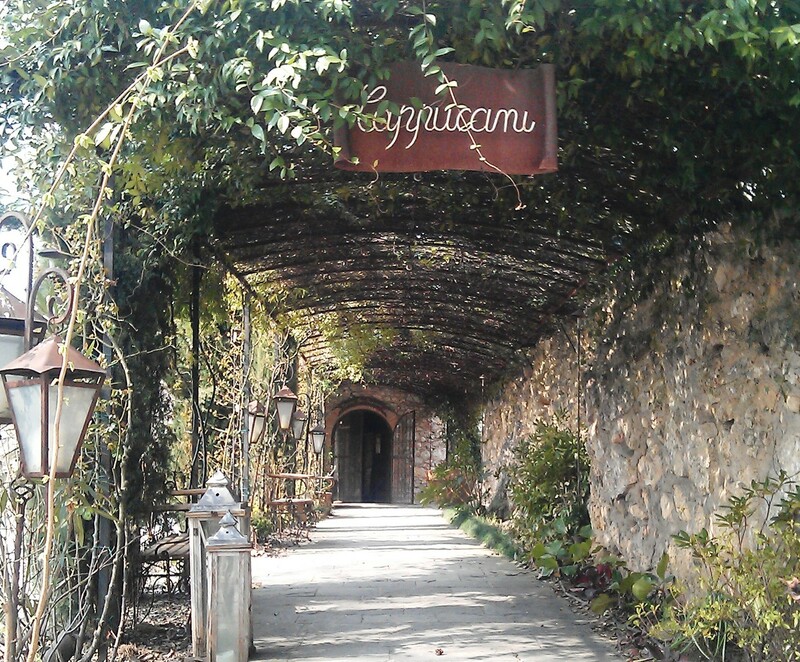 Built on the side of a hill amongst the Franciacorta vines near Brescia “La Cucina San Francesco” caters for those of us with more un-monastic tastes in food and wine. 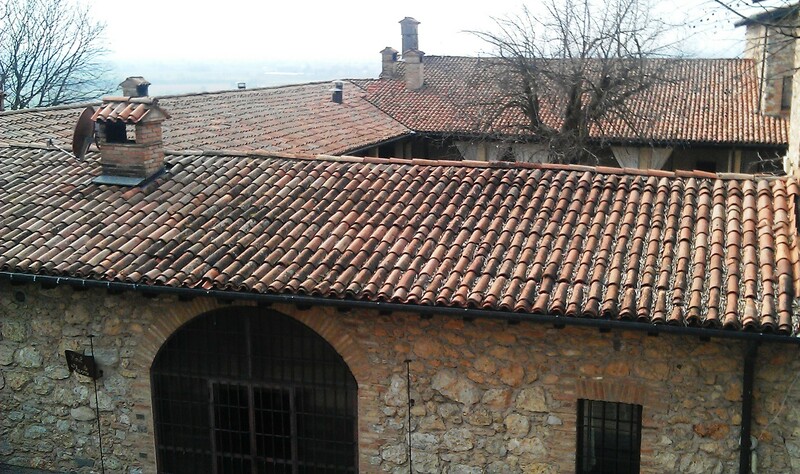 Lunch was delicious I might add but we didn’t choose the standard fare of monasteries of old – soup or minestra. 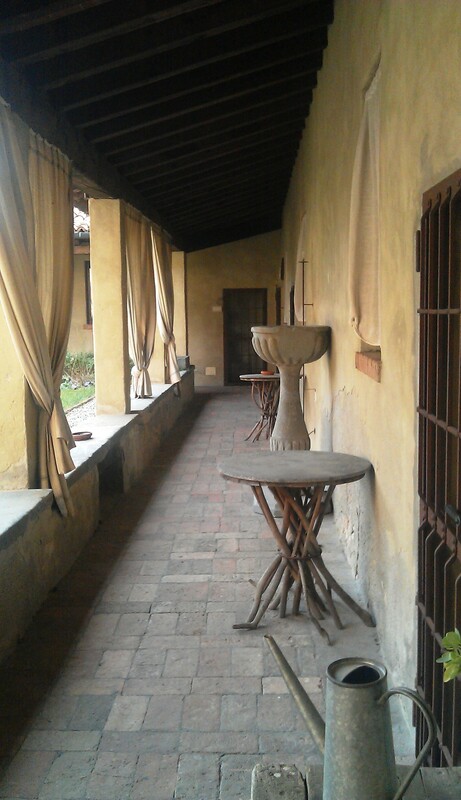 In those days it was almost unthinkable to eat a meal without starting with a warming broth to give the stomach “una piccola carezza”….presumably before piling into the heavy duty stuff. 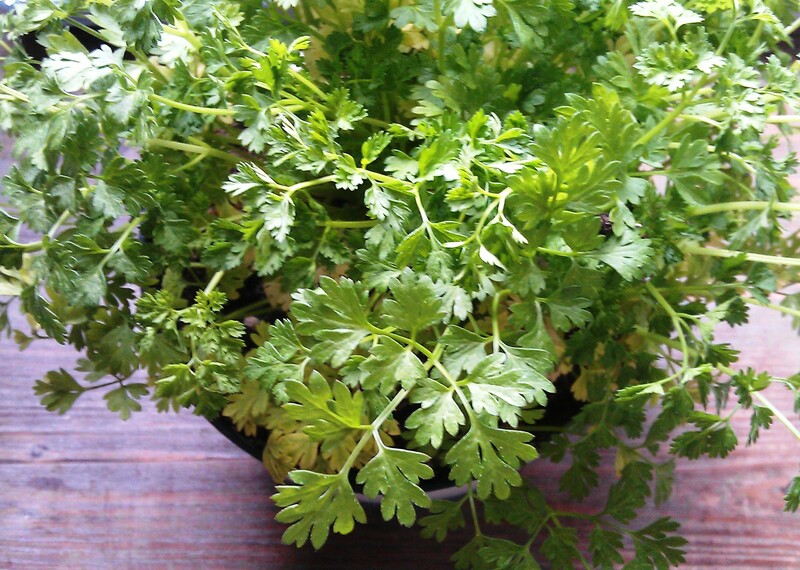 Chervil I was told was a favourite herb of medieval monastic cuisine. The visionary medieval mystic St. Hildegard of Bingen is revered for writing, amongst other works, on the medicinal and culinary properties of herbs. She particularly recommended chervil for stimulating the appetite and as an all round digestive aid…..ideal therefore to use in a ‘primo piatto’ of soup or minestra. I’d actually never used chervil but when I saw pots of it being sold in our local weekly market I thought yes, it’s time to try it out. 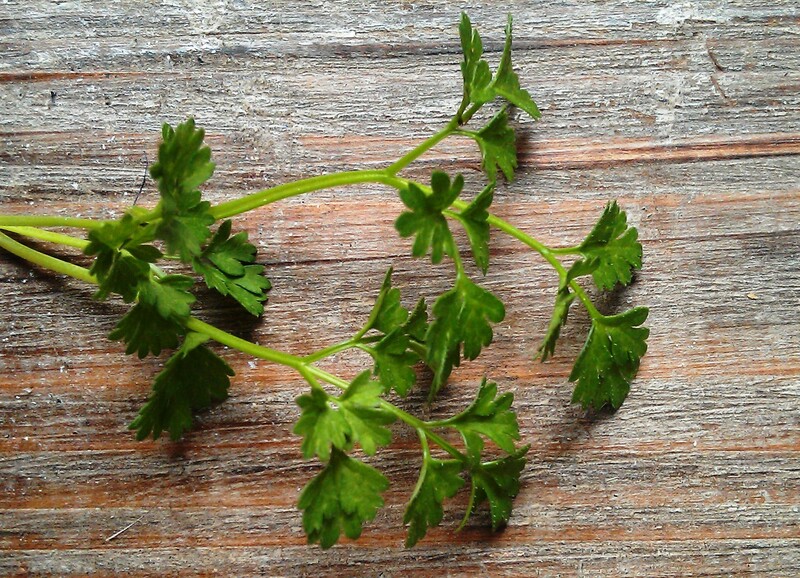 The leaves look similar to parsley but have a sort of lingering whisper of aniseed. Delicate and lovely. 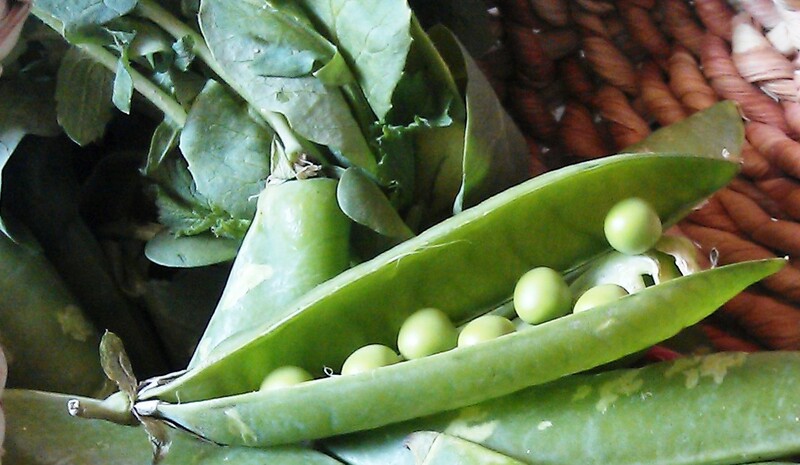 So, inspired by St. Hildegard and one of her herbal soup recipes, I decided to make a light chervil and pea soup which could well serve as an elegant starter – chilled or warm – for an Easter meal. 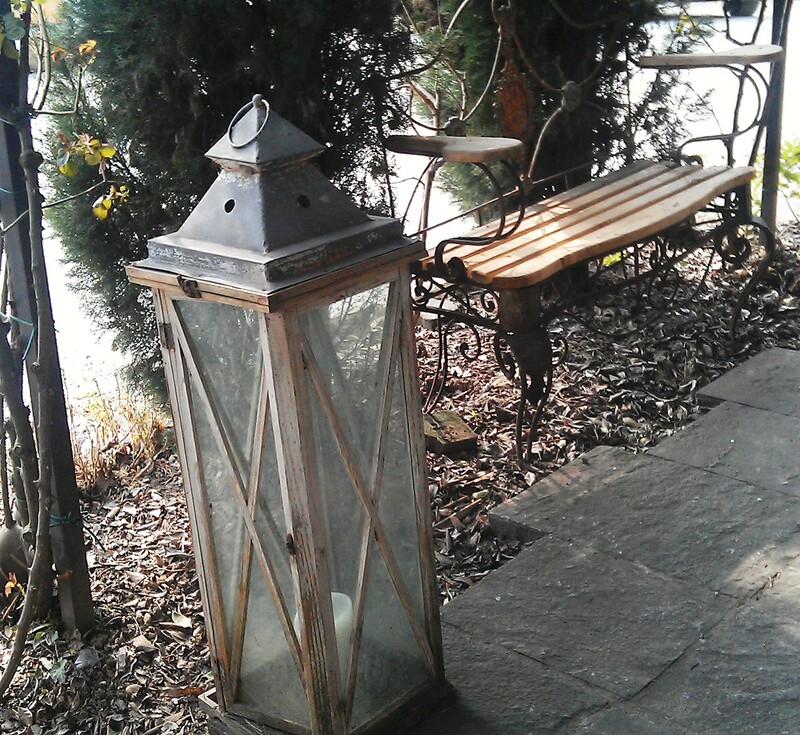 I particularly wanted to use violets after spotting the first ones of the year when leaving the old cloisters of the restaurant. A group of olive trees caught my attention swaying and rustling in the strengthening wind whilst peeping underneath were tiny clumps of shy violets still wondering whether it was safe to bloom or not. I think violets are exquisite and obviously the Hapsburg Arch-Duchess Marie Theresa of Austria thought the same. They were her favourite flower and because of her later title and reign as Duchess of Parma in Italy, so the ‘Parma Violet’ came to fame. 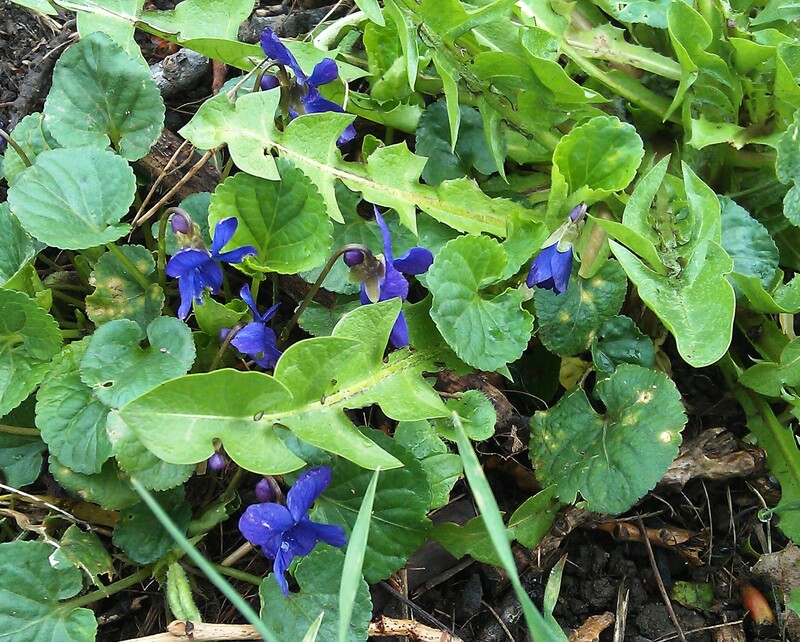 These latter spring days I see our Sweet Violets nodding gently as I walk along my river-walk and bending down to pick a few the smell wafting off them after a few hours of sunshine is sublime. Just as an aside….as well as looking and tasting lovely they’re full of Vitamin A & C and help with relaxation, sleep, headaches and colds. 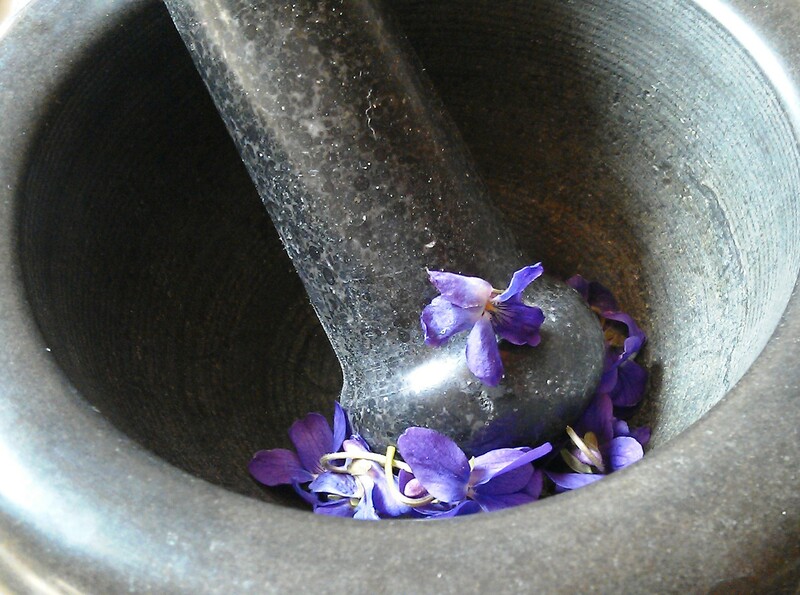 Grind up some fresh violets (or dried if you can’t find them) for a tisane or put some in bath for a total relaxation. This lovely delicate soup, smooth and silky, really does give a gentle ‘caress’ to the stomach! Heat butter and oil in saucepan and sauté the onion until soft, but not brown. Stir in peas anointing them well with the butter and oil. Stir in chopped chervil and season with salt. Pour in water and bring to the boil. Simmer for about 4-5 minutes or until soft. Pour into blender and blitz until smooth. Pour in almond milk and pulse briefly to mix. If you’re serving chilled, put into fridge to cool. Otherwise reheat gently in saucepan – without boiling. 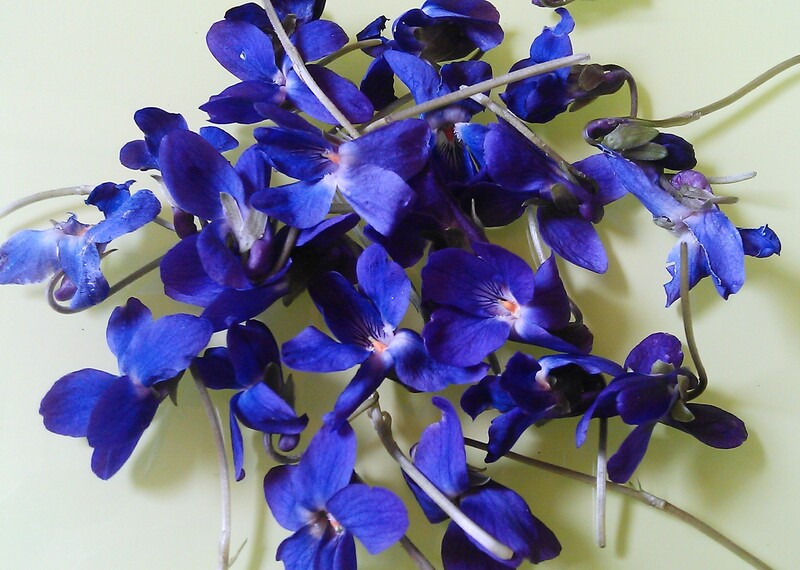 Serve in small bowls and decorate with fresh violets. Soak almonds for at least 4 hours in plenty of cold water. Pour through fine sieve or cheesecloth to filter.